NEW! Read this article if you want to get a brief understanding of GDPR regulations, how it will impact your leisure organisation, and what you can be thinking about now to ensure your organisation is ready in time for May 2018.
Review the Information Commissioners Office Blog posts to find out handy tips and information regarding GDPR. For MobilePro customers, download new GDPR changes for MobilePro and Personal Information processed by MobilePro documentation. The GDPR Plus2 version is now available. Hosted customers (only) can book their upgrade slot here, all on-premise customers who have ordered the upgrade should work with their Sales Manager and/or Project Manager to arrange the installation. Watch a 30 minute presentation on GDPR (from the Gladstone Summit). CBT Training and Release Notes are available for customers who have ordered the GDPR upgrade, contact your sales manager for access to these materials. What is Gladstone doing to keep pace with GDPR changes? Gladstone has already made a commitment to our customers that we will help them meet the requirements of this legislation ahead of May 2018. At this stage our expectation is that the majority of Gladstone modules and products will need to be changed to align with the GDPR legislation - facilitating our customers’ ability to be compliant with the GDPR. As our review progresses, we will advise the schedule for software updates, also whether there are any areas that do not require updates. Work starts in Gladstone R&D mid August 2017 and new versions of products should be ready to be deployed to our customers around December 2017. Please note that all product modifications will be made to the general release version of the software only. We advise customers on legacy versions of our products to therefore start planning upgrades in conjunction with your Gladstone Account Manager and Project Managers. Please note that some very old legacy versions may require an interim upgrade - for compatibility to upgrade to the latest GDPR ready versions when they are released. Gladstone will be working closely with our hosted customers to ensure migration to the new GDPR ready versions, as well as making any necessary environmental changes within the hosted environment to facilitate GDPR regulatory guidance. All Gladstone customers will have the option to upgrade to GDPR ready versions by May 2018 to fulfill their duties in adhering to EU GDPR. What our customers need to do? Security of data – Gladstone customers using PIN and password should consider moving to secure passwords. 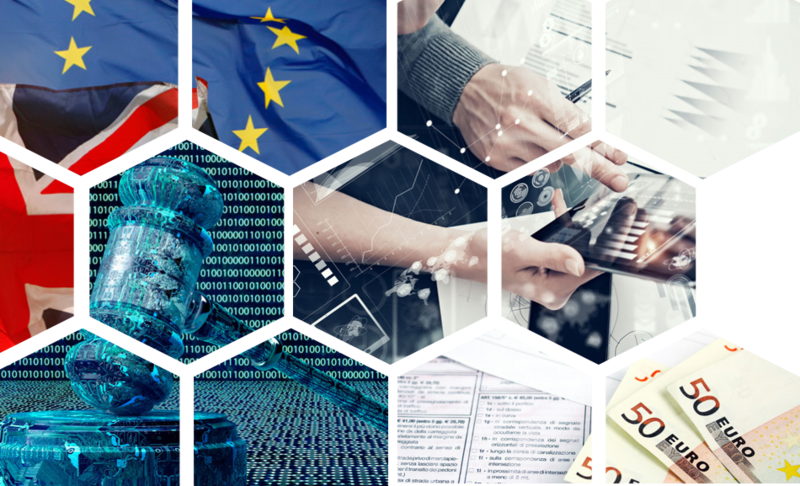 Reviewing your own processes is time consuming and complex, for this reason, Gladstone encourages its customers to seek qualified GDPR legal advice to ensure compliance with the GDPR. It should be emphasised that Gladstone software alone cannot make an operator compliant as the regulation applies to all processes and practices performed by operators. However, we aim to ensure that by upgrading to our latest GDPR ready versions; will enable customers to build compliant practices within their organisations more easily to fulfil the main areas covered by the legislation. Gladstone recognise that communication is going to be key over the next 10 months to allow us to keep you informed of progress. Regular updates and articles will be posted through our Blog, where you can check back in your own time, leave comments and ask topical questions. For specific questions associated with your own installation environment please work with your account manager and/or support representative. At Gladstone Software our research and development team is fully committed to making feature changes to our current product suite to assist you in becoming GDPR compliant. Development work has started in earnest for GDPR covering the area of the security of personal data. Gladstone is committed to shipping new products with security top of mind. Our teams are using this development cycle to future proof security functionality across our platform. As such, new releases will utilise the latest encryption methodologies together with enabling strong passwords at the outset. Gladstone has always prided itself on delivering customer choice and will continue to enable customers to utilise their own preferred security settings, however Gladstone ship and deploy with security at the forefront. More information about GDPR product releases and upgrades.